ProductionCrate has just released a huge new bundle of apocalyptic assets! Transforming an entire scene into a wasteland is one of the most enjoyable VFX projects you can take on. You can bring destruction to buildings, roadways, cars, plants, and just about anything that you like, taking inspiration from the Walking Dead, the Umbrella Academy or 28 Days Later. Though often this can involve many hours of tedious work to create each individual feature of the scene. Thankfully, we’re here to help. We’ve created over 50 set extension assets to help you construct your post-apocalyptic VFX shots. Let’s take a look at some! This apocalyptic city is perfect for distant set extensions. 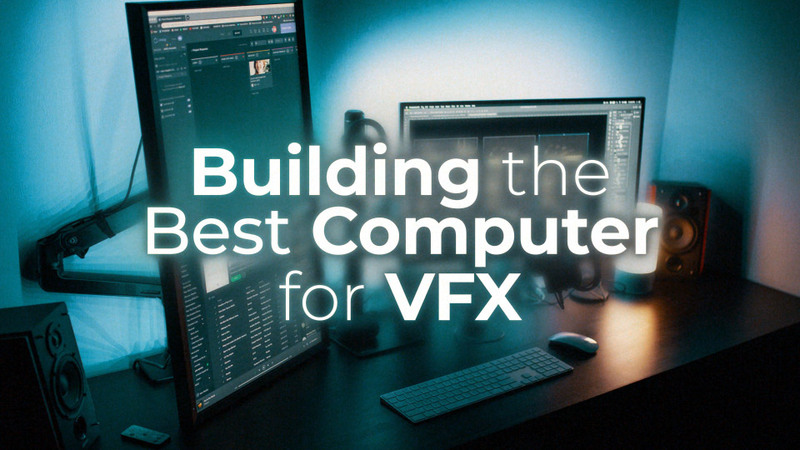 All our assets have been pre-keyed and are ready for you to import into almost any compositing software, whether that is After Effects, Hitfilm, Fusion or Premiere Pro. We even have several different lighting variations, so that you can choose the one that best matches the environment of your shot. We also have over 25 damaged car assets for you to download and composite onto your empty roads. There are two different car types, all with a huge range of angles, lighting conditions and shadow mattes – so you can be sure that these will blend into your shot without any trouble. For even more variation, you can even change the hue and saturation of the car paint! 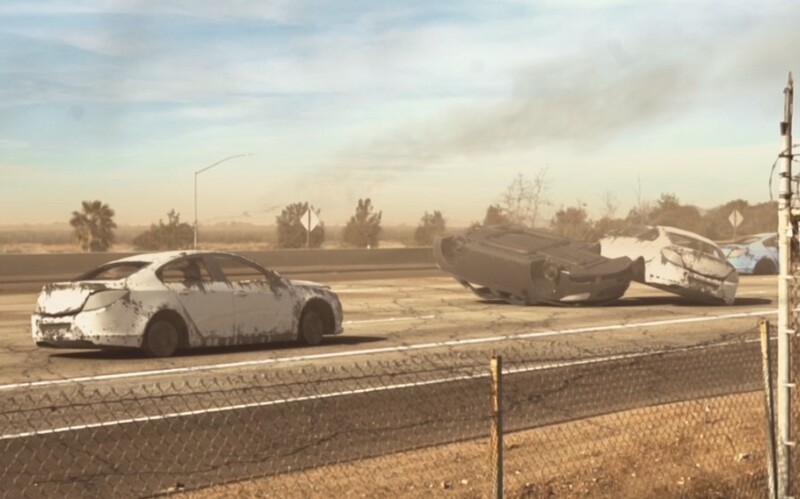 Download these destroyed car set extension effects here. We’ve also added some awesome large-scale smoke plume graphics! These PNG effects are perfect for distant smoke and are incredibly easy to use with their transparent backgrounds. We also have several HD animated smoke plumes if you want to include motion in these effects which you can download here. Use these to help create an atmosphere in your scene that no other practical effect can! We’ll love to see what you can create with these stunning effects! If you want to learn how you can composite a nuclear blast into this post-apocalyptic landscape, check out this tutorial here. Our hugely requested and highly anticipated tank effects have rolled in! We love seeing tanks and huge military battles in movies. This is why we’re now giving you control of over 30 unique and exciting elements to bring mayhem to your action film without the huge price tag! Aiming, rolling, turning and even firing are all included in this huge collection, meaning you can combine these in your timeline to create an entire army of these tanks. Our effects are all pre-keyed with an alpha channel, meaning you can easily insert these into a shot instantly without any extra hassle. We’ve also created different lighting variations, so whether your shot is sunny or overcast, our assets will have you covered. For those who want to go to war with these effects, we’ve created impactful tank firing shots from several different angles. You can order these different effects so that you can create a realistic narrative, such as having a tank rolling up to the camera, aiming, and then firing… The possibilities are limitless! We hope you enjoy using these tank effects in your projects. If you’d like to expand your arsenal, check out our action-packed helicopter VFX assets.